In the year 1976 Albert Frei buys his first lorry of Mercedes and starts a one-man company Albert Frei Internationale Transporte located in Tisens. Later his daughters Melanie and Tamara startet working in the family company. 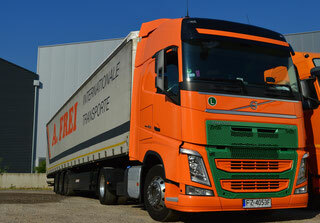 2007 was founded the company A. Frei Logistics in Gargazon. One year later a land of 5,000 m² with a warehous of 2,000 m² directly by the Mebo is purchased.